The Focus RS build is a global collaboration between Ford Performance, Block’s Hoonigan Racing Division and U.K.-based M-Sport. 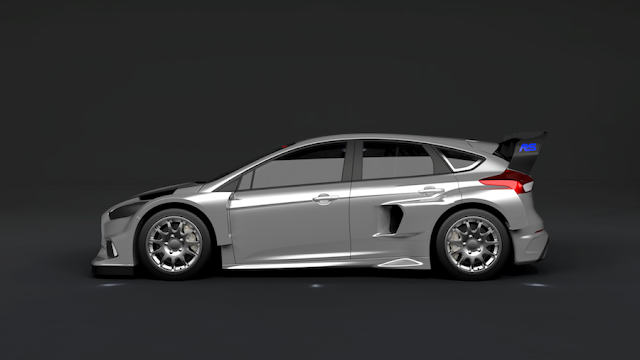 Featuring all-wheel drive, a new EcoBoost® engine producing 600 horsepower, and a 0-60-mph launch time of less than two seconds, Ford Focus RS Rallycross cars are optimized for competition. "I'm really happy to be expanding my relationship with Ford Performance," said Hoonigan Racing Division’s Ken Block. "To have official factory support for my race season in 2016 and beyond as I enter the FIA World Rallycross Championship full-time is absolutely incredible. It opens up a ton of powerful resources that myself and my team will be able to benefit from in terms of engineering prowess, research, development and racing experience from different fields. Plus, have you seen the car that they've created for me to go race in? My mind was blown when they showed it to me in Dearborn a few months ago. I absolutely cannot wait to get behind the wheel and start testing."